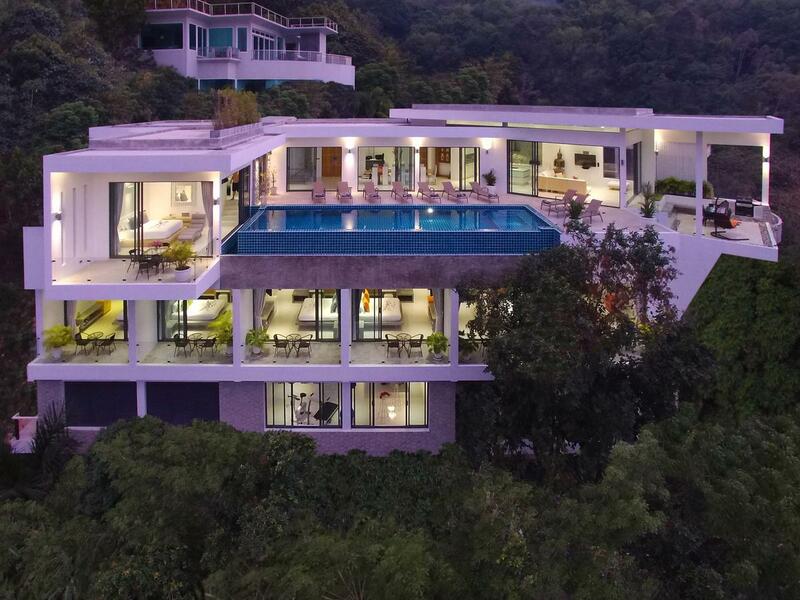 On the world-renowned island of Phuket, set high up in the island’s most sought-after hillside location, sits Villa 4504. 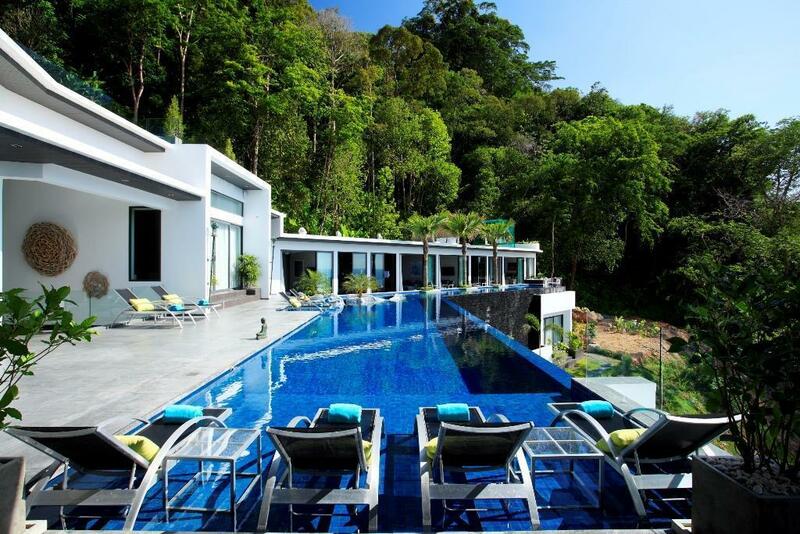 Not only does the villa occupy the highest point on the mountain and enjoy the very best views of the breath-taking blue waters of the Andaman Sea, the villa itself has been designed to offer you the ultimate highlife for the duration of your stay. 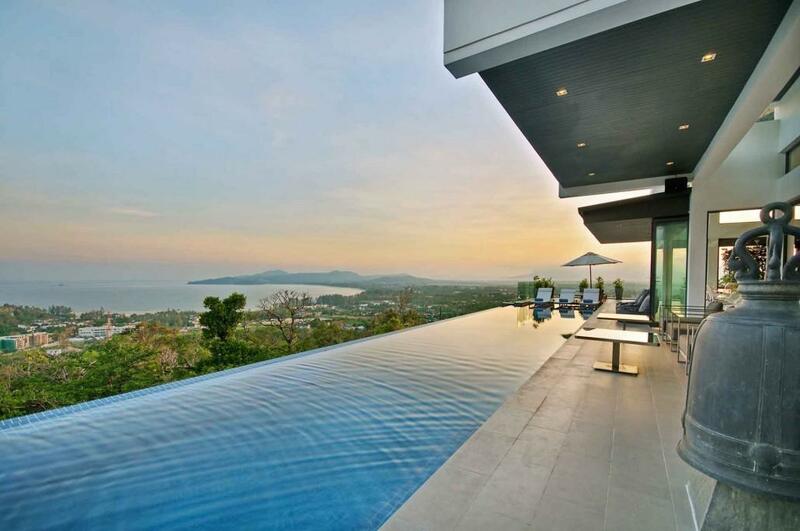 While other luxury villas lay claim to being the best, Villa 4504 surpasses them all. For total comfort and your personal attention, this privately-owned prestigious address is managed and maintained to the highest of standards, thanks to the dedicated staff. And for complete peace of mind, the villa has been professionally equipped with state-of-the-art CCTV cameras and security alarms. With cuisine in mind, the villa offers an ultra-modern, fully-equipped western-style kitchen together with a Thai-style kitchen in order to deliver the best of both worlds. Eating in style is assured with a large indoor dining table which seats 16 inside, while the roof terrace offers a bar, garden, barbecue and additional outdoor seating also for 16. Should you wish to exercise from the comfort of home, Villa 4504 comes with a golf driving range, putting green, pool/billiards table, professional bowling lane, table tennis equipment and no less than 2 gymnasiums. Furthermore the villa is equipped with high-speed fiber-optic Wi-Fi that covers the entire villa to ensure you can keep in touch with the outside world at all times. Finally the very best in entertainment awaits, courtesy of the Sonos/Bose music system which extends to the living room, sala, pool and roof terrace areas, a spacious living room featuring large sala sofa and 65″ LED TV, and a home theatre with projector, THX sound and 9 electronically-controlled seats. 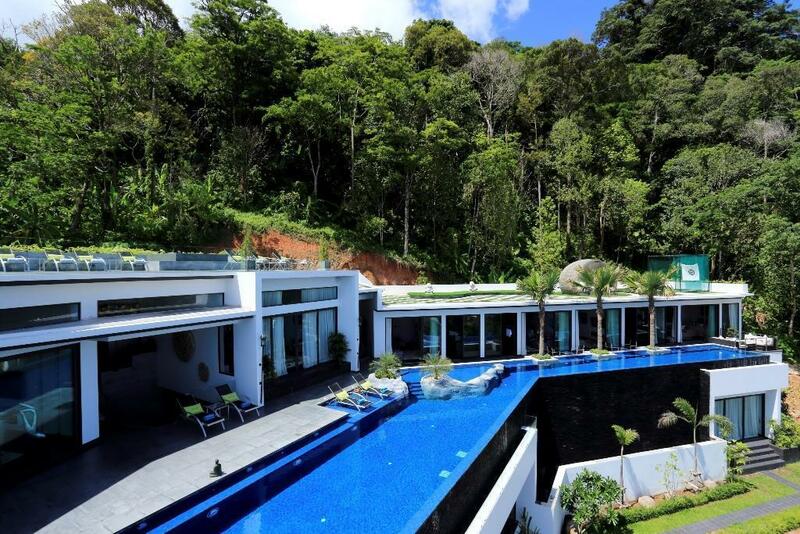 With its exclusive setting and truly luxurious accommodation; the villa was designed and created for people who demand the best that life can offer. On arrival by car you will enter via the secure 4 car underground garage, from where you take the spacious glass elevator that will carry you up to the different levels. A small set of stairs takes you to the main hallway. To your left is the fully-equipped fitness center complete with treadmill, recumbent bike, elliptical trainer, super fit massage and massage chair; all set against the backdrop of magnificent sea views. Alongside the fitness center awaits the last word in entertainment, courtesy of Villa 4504's purpose-built Home theatre. Inside you will discover an up-to-the-minute projector with THX sound and 9 electrically controlled seats. To ensure you are always kept entertained, it comes complete with hard drive containing hundreds of blue ray movies and TV series, a laptop connection and a PlayStation 4 complete with a variety of games. Just a few steps more takes you to the central sunken seating area, from where you have access to the pool/billiards table, wine cellar, second gymnasium and games room with professional bowling alley. 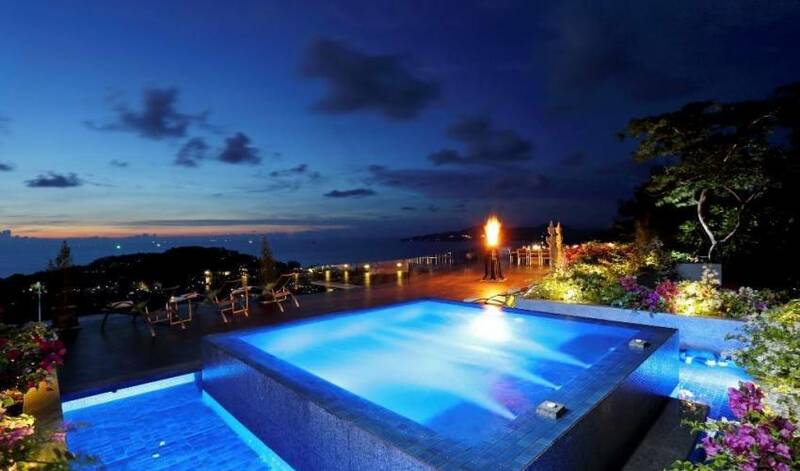 On this level are also the first 3 of 8 bedrooms, all with glorious ocean-views and en-suite bathrooms. The next level is home to the master bedroom and 4 of the guest bedrooms which all open out directly onto the impressive pool area. The huge main pool offers you and your guests the opportunity to refresh yourselves in its crystal-clear waters, take advantage of the large surrounding seating area or feast on the snacks served up by the adjoining kitchen. For your younger guests, there is an integrated child-friendly pool which sits conveniently adjacent to the main pool and seating area. Last but by no means least, is the roof top terrace. 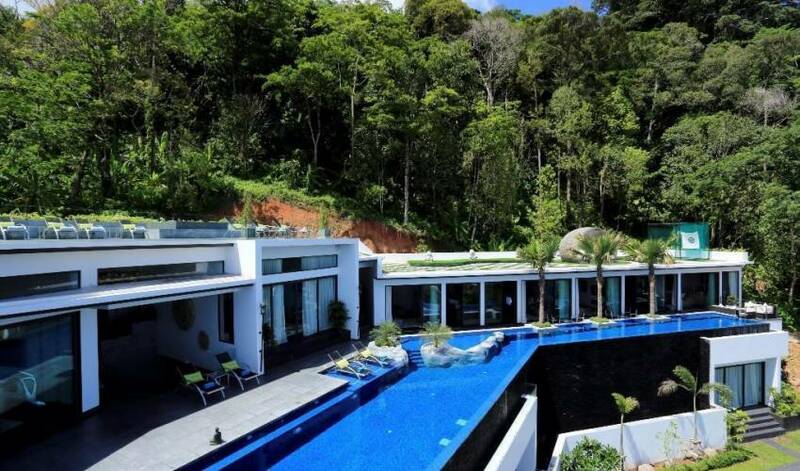 This vast and open space delivers the feeling that you are indeed top of the world; with dining for 16 people, BBQ and romantic open fire, together with a plunge pool with Jacuzzi and a waterfall which cascades down the exterior of the Villa. Here you can take in the sights that stretch out for miles; the bluest of sea views, fabulous sunrises, memorable sunsets and the spectacular fireworks displays that light up the night. 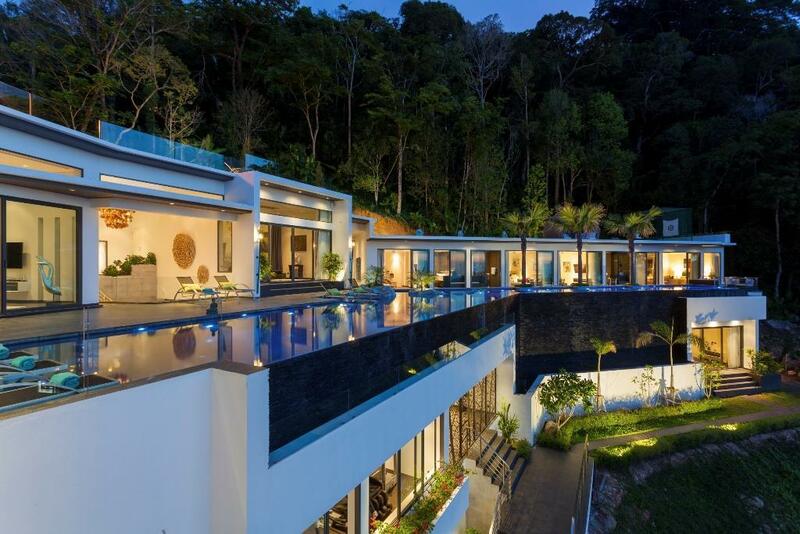 The architects who designed Villa 4504 took great care to ensure that it makes the very most of its prime location. From the forest gardens tastefully illuminated at night to the vast roof terrace with relaxing Jacuzzi and romantic open fire burner; no detail has been overlooked. Each of the 8 individual air-conditioned bedrooms enjoys spectacular views of the Andaman Sea and surrounding countryside, ensuring that every single one of your guests can take in the magnificent scenery in equal measure. 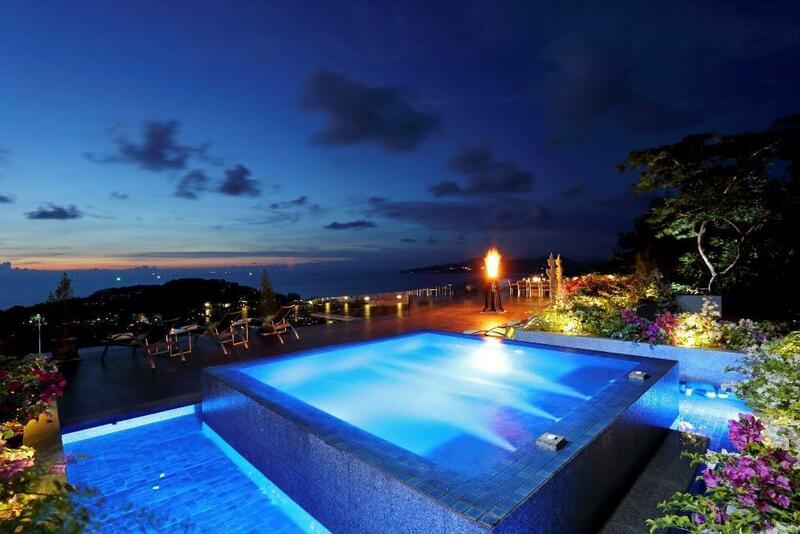 The master and 4 other bedrooms open up directly onto the large swimming pool. The state-of-the-art beds include 5 star mattresses, Egyptian combed cotton sateen bed linen and a choice of duck down duvets and pillows. To add to the sense of luxury, the master bedroom features a 60” LED Television, while the 7 guest bedrooms feature 51” LED Televisions; all connected to Premium True Vision cable for access to numerous international channels. Furthermore each bedroom offers docking stations for smartphones and iPods to link directly to the in-built ceiling speakers and deliver superb sound quality. The en-suite bathrooms all come complete with safe deposit box, bathrobes, slippers, shampoo and shower cream, while the master bedroom boasts its very own steam sauna. The large, spacious living and dining areas ensure that you can entertain and converse with your guests in complete comfort, while the roof terrace, gardens and infinity pool add to the overall sense of openness and well-being. A great deal of thought has also gone into the interior décor in order to reflect the villa’s surroundings and tropical setting; employing a minimalist style complemented by stylish furniture and individually selected works of art. With a luxurious swimming pool, a golf driving range, putting green, bowling alley, pool/billiards table, table tennis, two gymnasiums and a home theater, Villa 4504 is more than just a place to stay it’s a place to expand your horizons. The staff have all been carefully selected and fully trained in order to meet your every need. 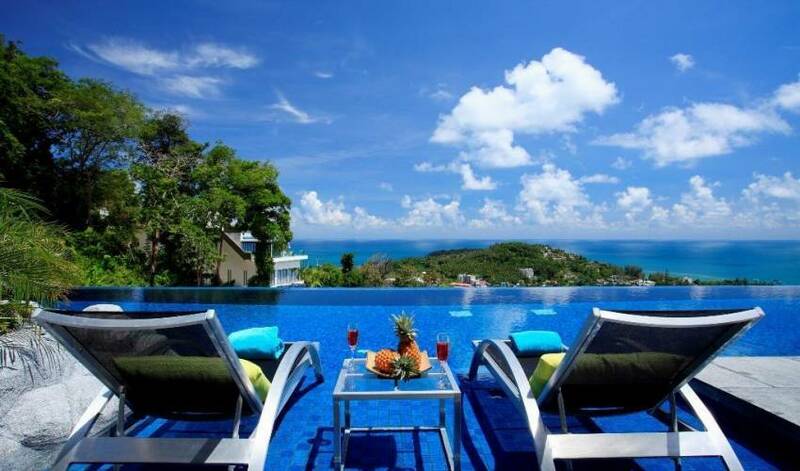 The villa Manager, Chef, Chauffeur, Waitress, Technician, night time Security Guard and three live-in Maids will all enhance your stay through a combination of professionalism infused with a delightful blend of Thai graciousness and charm. Whatever the requirements of you and your guests, simply ask and the staff at the villa will do their utmost to fulfill your every wish. Villa 4504 prides itself on offering its guests the very finest cuisine selected both from local dishes and international menus. 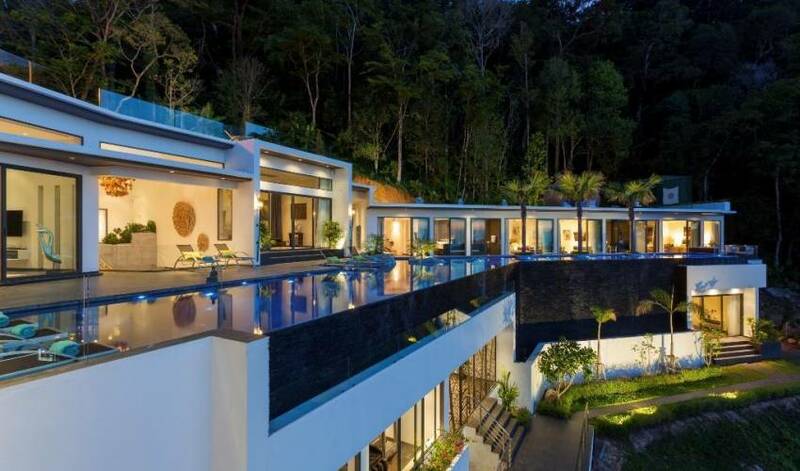 With a choice of the ultra-modern western-style or traditional Thai-style kitchen, the villa is perfectly positioned to cater for the most discerning of tastes. 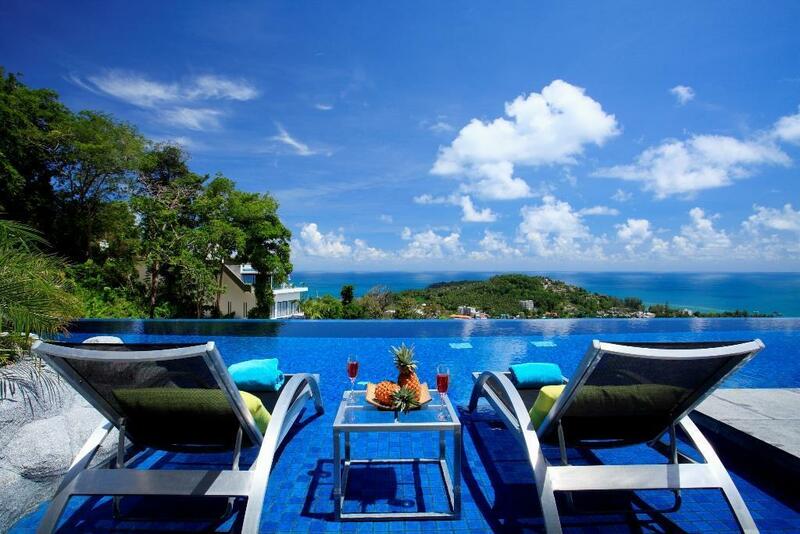 Villa 4504 offers you a golden opportunity to make the very most of Phuket’s most select and desirable neighborhood. 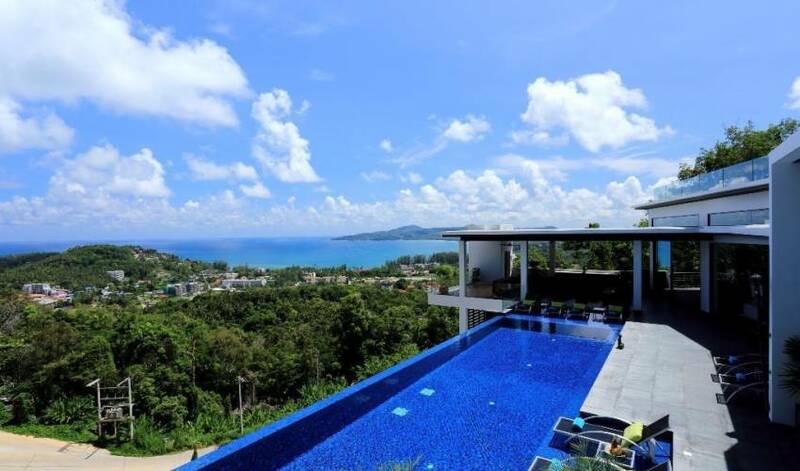 This idyllic, secluded location high up on the mountainside is just a few minutes’ drive to Surin Beach, one of Phuket’s most attractive and unspoilt beaches. 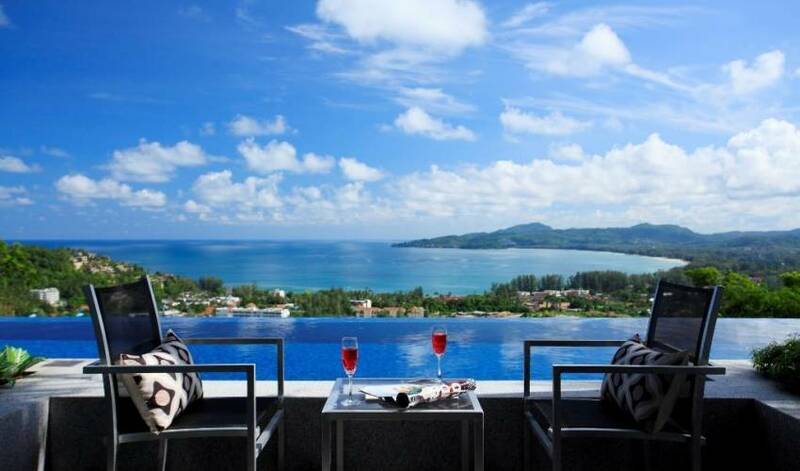 Surin itself is one of the most up market areas of Phuket Island and offers a wide range of beach activities, restaurants, cafes, wine bars, spas and boutique shops. 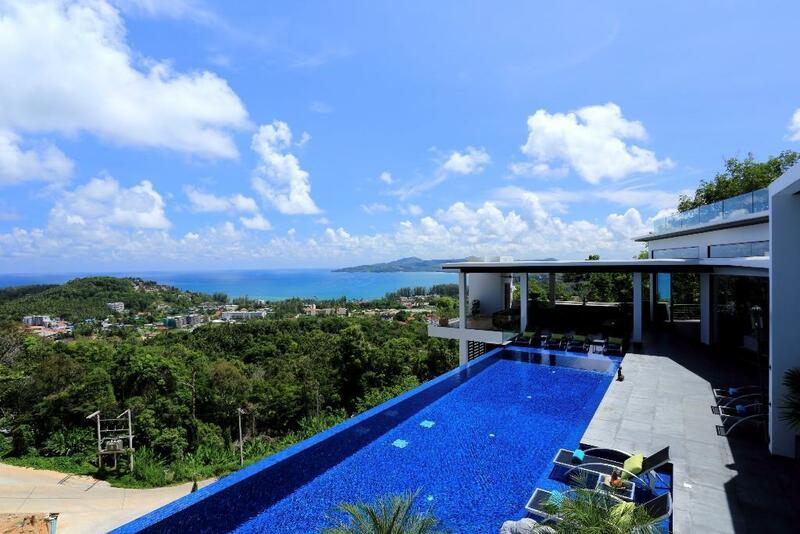 There are numerous local shops and supermarkets all within 5 minutes’ drive of the villa, while Bang Tao Beach and the Laguna Phuket luxury resorts are less than 10 minutes away. 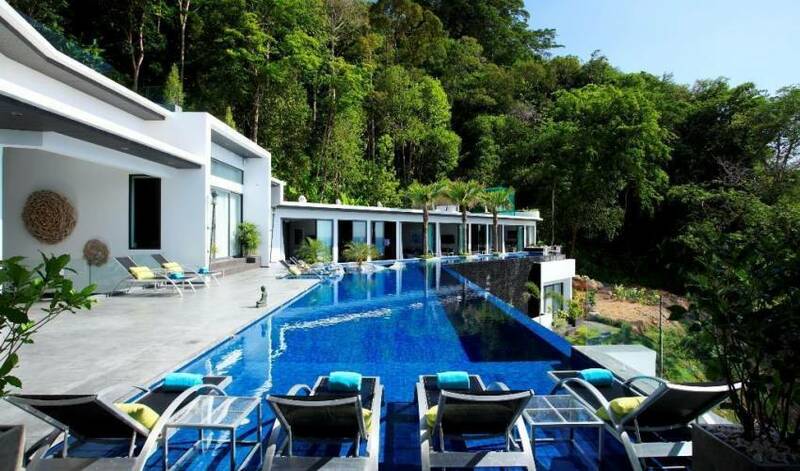 A 20 minute drive will take you to the world-famous Blue Canyon Golf Club which has hosted no less than two Johnny Walker Classics, while Phuket International Hospital, Central Department Store and the bustling resort town of Patong can be reached in just 25 minutes. 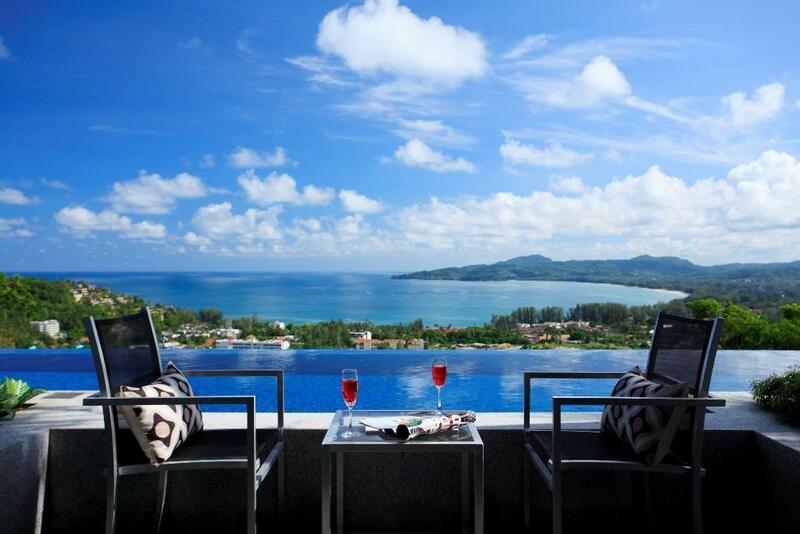 Finally to ensure you make the most of every minute of your stay, you’ll be pleased to know that Phuket International Airport is just a 30 minute drive away. Villa 4504 is without doubt the perfect choice for large families or groups of friends who appreciate the very finest that life has to offer. 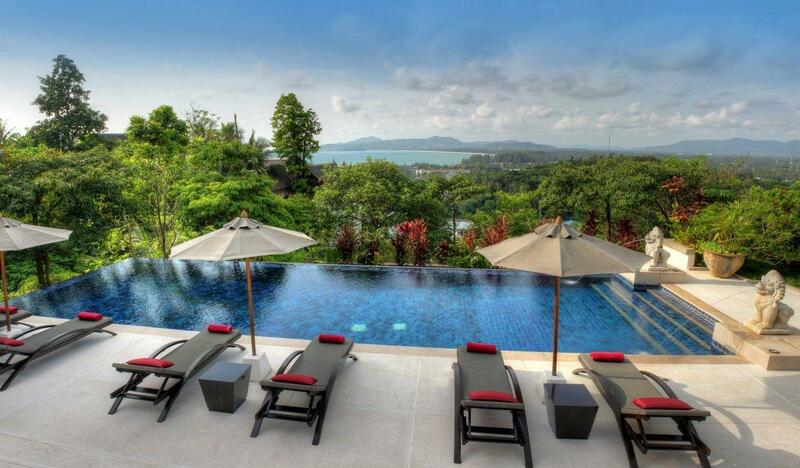 The villa stay was superb as usual. The staff was fantastic. Thanks once again. The boys had a blast! Your services have become very popular with my friends and family, as you can see!